Alembic Club: To Flitz or not to Flitz? OK, This is probably something I shouldn't be overthinking about, but my inherent nature never allows me to stop over thinking. Yikes! For those who have early model Alembics, mine being a "75". Is there any disadvantage to making all the brass parts shine? Shown below is my "75" bass with an unpolished bridge compared to her sister a "75" bass (A bass that was for sale a while back) with a polished bridge. Just curious. I will taking my bass apart for some maintenance and an opportunity will be there to polish or not. Definitely Polish that Brass Bridge! I disassemble my bridges every other finger board oiling and polish the Bridge parts and the Nut. Just watch the Tail Piece. Some have a clear coating on them. A small drop of real light oil on the threads of the intonation screws helps them work smoother too. I vote for polishing! I don't have an early Alembic, but I definitely prefer the looks of shining metal! Hello Pete , I think that the Flitz treatment would be a positive gesture for your Bass . I have done so as well with mine . Also thinking , RE- thinking & then moving forward and acting on " The Plan" , much of the time to rule out adverse variables ! I have an 81 and want the brainwork glistening. I recently got hold of a fibreglass contact cleaner pen that I used to use in my days as an electrician. That brings up the brass really well then I use Brasso,to get the brass really shiny. I haven't seen Flitz on sale here. When many factors are taken into account I wound up with a yes maybe no outcome. Further facts come about making the answer a definite yes except when taking the invariables into the equation leaning the decision torwards a no. Further complicating the issue is the unforeseen contradictions of human behavior that throws everything back to yes maybe no. I polished the brass on my 1995 Epic. I left the patina alone on my 1977 Series I.
Pete , I sometimes go through the same path of mentation as in your post 619 and I usually feel 100 % successful when both the sides of the equation become balanced due to a favorable reciprocal as well as the final results. A WIN-WIN thing . At times such "unforeseen contradictions of human behavior" appear in the form of that welcome epiphany ! In deed so very welcomed and often then celebrated upon ! ( It must be that Viking DNA of mine ) LOL !! If you do go the polish route, be sure to finish up with lemon Pledge--your brass will stay shiny a lot longer. Alembics are not like old Gibsons, Fenders, and Tiffany lamps that lose value if 50 year old crud is cleaned off. I have polished the brass on my old Alembics, which include a '76 Series I guitar, a '77 Series I 12 string guitar, and Old #10, a 1972 guitar. After polishing, I rub on a light coat of Alberto VO5 - an old fashioned hair treatment. It works wonderfully to help maintain the shine! I vote 'nay' Pete, but not just to be obtuse... I love a spit-shined classic, like the bass on the right, but there's plenty of allure to the look of honest playing wear too. No abuse been committed there, just a guy playing a Stradivarius like it was meant to be played. A racehorse has gotta' run. I've got these two Martin guitars... the first, a 2001 D-18 Vintage Series, that's as pristine as any brand new guitar, though I've played it almost daily since new. The second is a 1950 D-18 that's got so much playing wear on it that G. Gruhn himself once commented it was "distressed-looking before the distressed look was even thought of". He was not being complementary of my treasured vintage classic, not even a little. Me... I'm an absolute fanatic about instrument care, yet I love both looks equally. Same goes for your basses. Leave it man... skip the TLC and go put some more play wear on it. Thanks guys for your indulgence on this. I couldn't tell you the last time this bridge has been polished but I owed her for about 3 years now. Bill, your input on the Alembics value not affected by patina was helpful. Figuring it isn't my patina so I think it's going. I've heard about Alberto VO5, need to try it! I remember back in the 1980's I had a girlfriend who was an electrician who told me that she put the the VO5 on her expensive "Kline brand " electrical side cutters and pliers and the such to keep the oxidation off of them . I tried it on mine and it actually worked. What's going on with your bridge? I've been wracking my well-wracked brain to recall ever seeing an Alembic bridge canted at that angle. 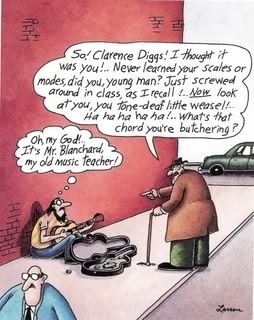 I've been a guitar repairman for decades, and I'm not here to criticize or mock. Especially here, because we all come here for the same reason: to admire sheer excellence, and to learn. Your Alembic has been injured, and you should have it healed. 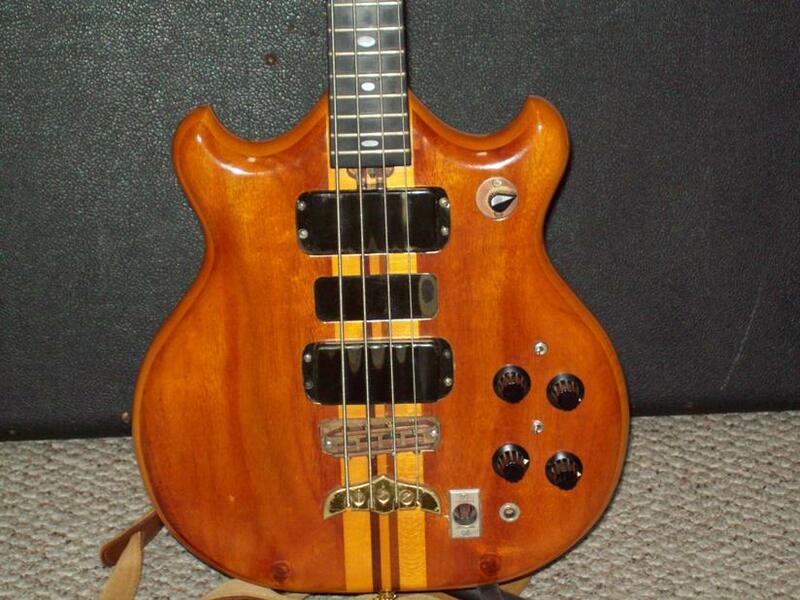 It was not only the finest bass on the planet in 1975, it still is! Consider this: in '75 Stanley Clarke had just begun showing the world what Alembics sounded like. I'm sure many people here can tell you how many basses Alembic made that year, without looking. But I'm guessing somewhere around thirty, which means very few bassists were lucky enough to own one. I know, because my Alembic is a 1975 Series 1 (75-240). Flathead machine screws on an Alembic are like a Formula 1 race car on bicycle wheels. They are an abomination. The upper one has clearly "migrated" from uppy-downy alignment with the hole, which is kinda weird when you consider that somebody went through all that trouble to slant the bridge in the first place. (What Cletus calls; "ball-peen detailing.") Apparently not enough. Now for the good news: they actually did a pretty good job, if only in not damaging your bass in any way, as far as I can tell. It takes balls the size of church bells to redesign an Alembic's bridge in the first place, much less pull the sustain block out of there without using a crowbar or something. From another standpoint, the only reason to slant the bridge is to address temperament. If you want to put a whole party to sleep almost instantly, bring up the subject of temperament to a group of musicians. I think of it as an agreement on how many notes you can get in tune, and by how much. See that serious jag on the G string at the first fret? That gives you an idea of how far off normal frets are. Note that the only straight fret on the guitar is the one at the twelfth fret. 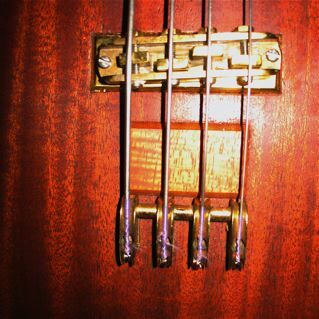 So everything between the nut and the 12th fret is mirrored by the bridge saddles and their relation to the 12th fret. The G string saddle is always forward to shorten the length of the string, to compensate for that. 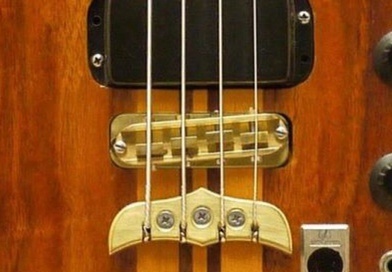 In my opinion, your bass bridge was probably involved in a hit and miss (or hit and run, I'm not sure which) attempt to address that issue. You should return to the mothership for re-grooving. And avoid flatheads (especially the human kind). 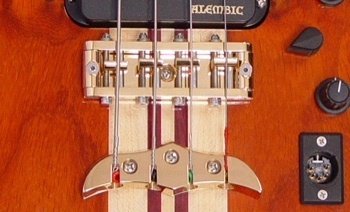 This is the bridge & block with tail piece that was installed on my Guild Starfire around 1975 by Alembic . It is an interesting mystery of the cosmos that the tailpiece on my 73-32 is of this type as well . Thank you for your insight and time in explaining. But the picture you were referencing is not mine. It was a bass that was on the market awhile back that is about has close to mine to make the A/B comparison. My bass is the dirty girl here. To the best of my knowledge this bridge is the precursor of the modern ones and is fine. Someone please correct me if I'm wrong. I've had it apart before and, to my knowledge, without any signs of stress. Thank you, Wolf. I don't mind being wrong - like I said, we're here to learn - especially because I have a live-in Scottish scorekeeper to keep track of my errors. I should equip the Foghorn with lights, horns and buzzers that go off when I'm wrong. It would sound like a pachinko parlor around here. 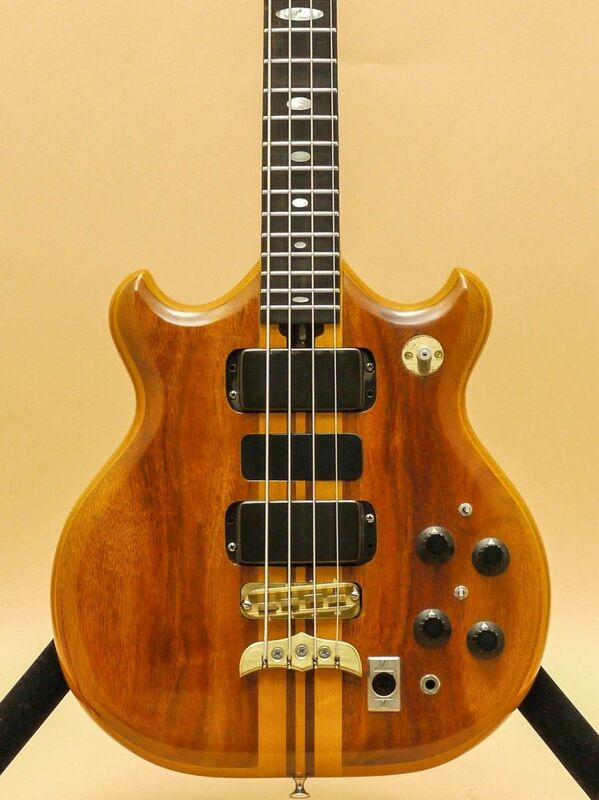 In my defense, I looked at my Alembic's bridge and did an image search on "Alembic Bridge" before launching such a barefaced whopper out there into the universe, and even checked the Featured Customs vault, with nary a slanted bridge in sight. For whatever it's worth, you appear to be dead on about the bridge damage with regards to the one you pictured. 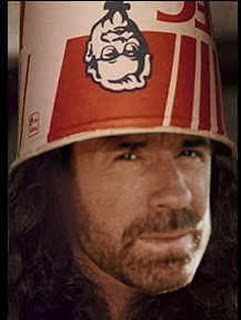 Forest , I like reading your posts ! I just like to show examples of discussion topics. I do think that the slanted bridge of tis type was of limited production time. I think it may of been a variation of what in my recollection was refereed to by Alembic as a " channel bridge" fabricated from brass stock. The slant was in my recollection an effort to cover a wider area of intonation correction. This is what I recollect . Unless you want that sentiment to be the unspoken subtext of your life, don't marry a Scot. They breed them for that. They can smell fear. That's why I happily admit that I can be a moron, just to get it out of the way. All married men do it anyway, whether they want to or not. "Oh that. Yeah, I meant to do that." It just slips out so easily and yet you know it's a lie. If you just admit to it, it barely registers in your married-female counterpart's drama matrix. Life goes on smoothly, secure in the agreement that you're a moron, instead of arguing for hours to reach the same conclusion. I polish my bridges (And other parts) simply because I like doing it. I do not pay attention much to either the reasons to polish or not to. It is just quality time for me and my basses. That reason alone is enough for me! If you haven't,bookmark this link for interesting old san fran brass bridge references.